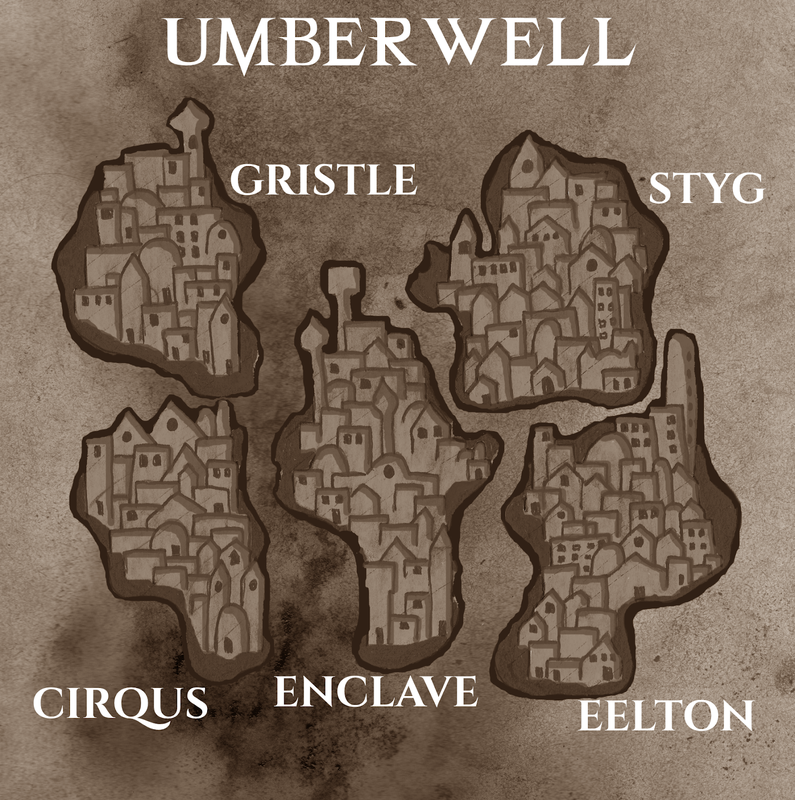 Umberwell is a city-state that sprawls across five islands on the Tarnished Sea, as well as a number of satellite islets, undersea adjuncts, and skyward districts elevated above the clouds. The five islands are connected by bridges running across their channels, underground tunnels that join their undercity warrens, and by the more permanent ligatures of imagined community. The city encompasses both the ramshackle wilderness of an unruly metropolis, the farms and forests that have been incorporated into the cityscape, and the subterranean depths of a land with an ancient heritage. The exact scale of the city is so unfathomably large that no accurate accounting of its many neighborhoods, wards, boroughs, and parishes is possible. 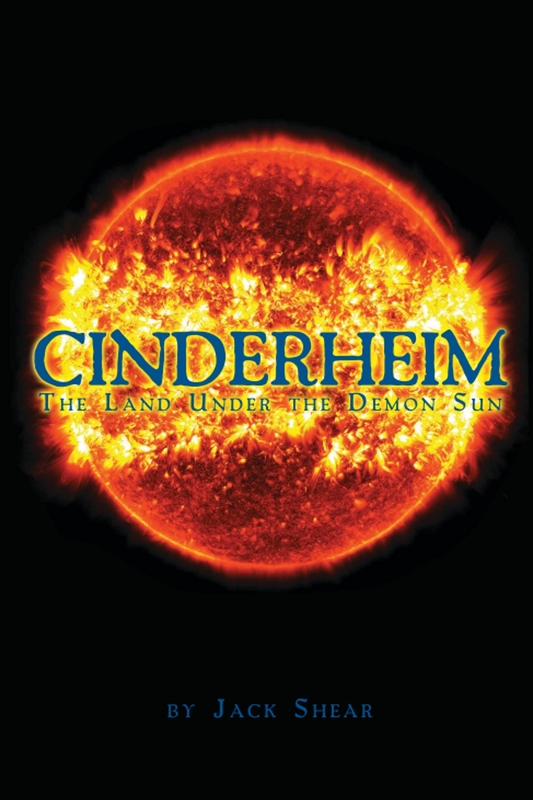 Magic is commonplace in Umberwell; it is used in conjunction with artifice technology to achieve marvels such as ethergram communication, industrial factories, airships, automatons, worm trains, and mechanized replacement limbs. 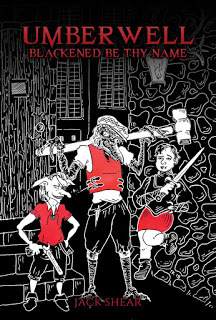 Although the city is the pinnacle of a fantasy world on the brink of modernity, it is also world-weary, desperate, decaying, and fraught. Umberwell is a city of tarnished splendor—it is a site of fantastique decadence where the metropolis itself has been cruelly left to corrode. Umberwell is also a city of faith where the power of the gods is manifest. The most popular religion in the city-state is the People’s Covenant, a syncretic blend of the various deities that Umberwell’s peoples brought with them as they immigrated to the metropolis. The populace of the city is bricolage that freely mixes a myriad of races. 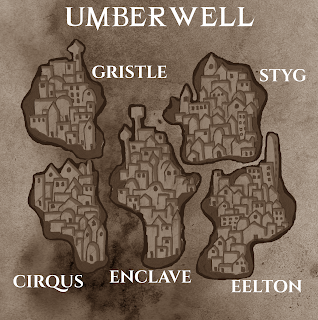 Humans, elves, and dwarves mingle with birdfolk, goliaths, tieflings, and far stranger folk; the city is a nexus for planar travel, so demons, devils, angels, and cosmic aberrations have also been known to prowl Umberwell’s streets. • Cityscape. Crowded rows of buildings bisected by labyrinthine alleys, corroded splendor, rooftop terrace farms and greenhouses, looming spires and towers of metal connected by a cable cars, rivers winding across the city’s islands, slums, public gardens and forested parks, street lamps made of wrought iron and glass, vast undercity warrens constructed from scrap and salvaged materials. • Ornamentation. Art Nouveau design elements, faux Orientalist opulence, printed advertisements for the latest commodities, gilded trim, tall columns, rusty iron staircases, grotesques and gargoyles, Art Deco bridges. • Weather. Overcast and gray, pestilential fogs that obscure vision, frequent heavy rain, unbearably hot and humid in the summer, biting winds during winter. • Decay. Smoke-belching factories, graffiti, grime, rust, homeless citizens, rats, uneven cobblestone streets, pigeons and crows roosting on cracked ledges, stray dogs. • Pace. Bustling night markets selling illicit wares, travelers rushing to and fro, busy harbors, galloping carriages, airships anchoring at dockspires. • Sounds. The cries of street vendors, political ranters, buskers and carnival performers, broadsheet purveyors announcing the latest outrage, the thrum of machinery, the rumble of worm trains traveling beneath the streets. • Scent. 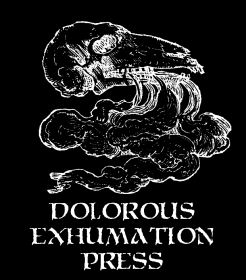 The acrid burning of kraken blood, reeking rivers, soured beer, the tempting aroma of street foods. • Attire. 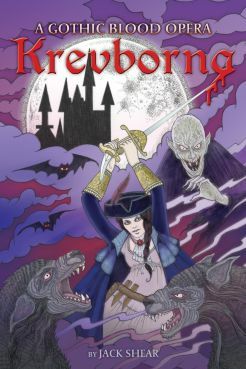 Sheathed weapons, bowlers and top hats, leathers and stylish armor, scuffed boots, flat caps, hooded cloaks, oilskin trench coats, garish bandannas, gloves, parasols, embroidered waistcoats, kimonos, drainpipe trousers.